2. Invisible palming! Intelligent paper? So what is an algorithm? 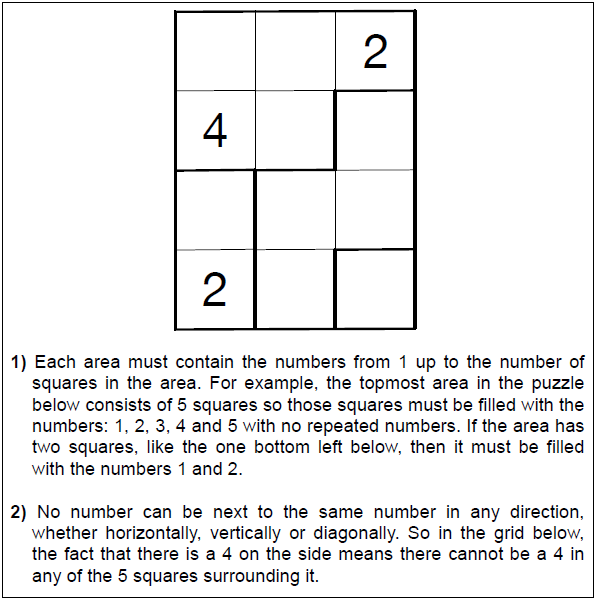 Computational Thinking: Cut Block Logic Puzzles is a booklet on computational thinking based on logic puzzles. Try and solve some simple logic puzzles while learning about computational thinking and especially logical thinking. The booklet is written by Paul Curzon of Queen Mary University of London. Learn how to solve Cut Block puzzles, simple logic puzzles that involve filling a grid with numbers so that no number appears next to itself. See how by deriving new general rules that extend the rules of the puzzle you unlock the power of pattern matching. Learn about logical thinking, deduction, rewrite rules, pattern matching, abstraction, generalisation and computational thinking.